"This is the moment I take my power back. 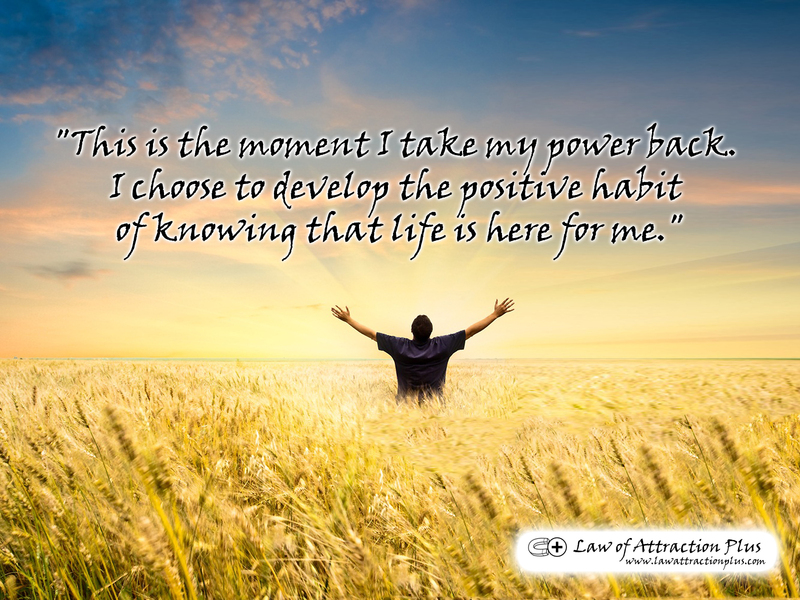 I choose to develop the positive habit of knowing that life is here for me." (Wallpaper + Decree) | Law of Attraction Plus: The Secret revealed!